What Are the Important Considerations When Buying A Keyboard For A Church Band? Church bands need equipment that will allow them to play music in any area of the church, will make it easy for them to be heard by a large congregation and will allow them to easily adjust and perfect their songs during practice. A keyboard is an integral part of any church band, but buying the right one for your church band can be tricky, especially because a great keyboard tends to be fairly expensive. Rather than accidentally buying one that won’t last or overspending on a keyboard that is loaded with unnecessary features, it’s a good idea to rely on this guide for help. No matter if you are a pastor, youth guide, or member of a church band, you must know what type of equipment will best benefit the keyboardist in your church band. Understanding what to look for when shopping for a new keyboard and what features will really set a keyboard apart from others on the market will ensure that you are able to find the right one. 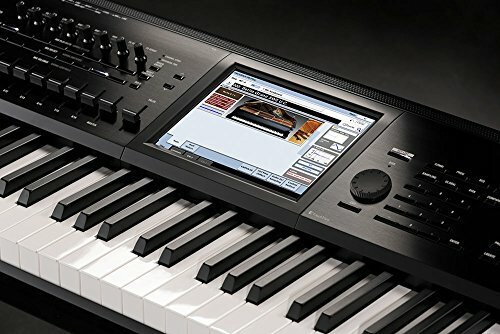 The Korg KRONOS2 is a powerful keyboard that is designed to not only be easy to play but also offers great sound control. Any musician would be thrilled to use this keyboard, as it is packed with great features, helping it stand out during Sunday service and Wednesday night worship. There are a lot of things that you must consider when looking for a keyboard to be used by a church band. 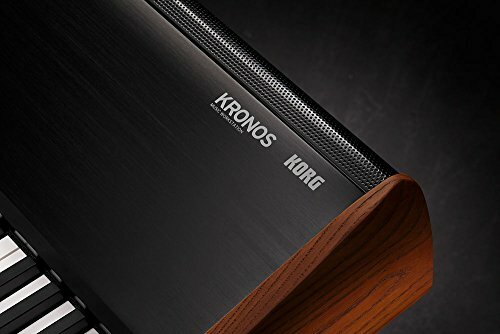 Understanding the features of various keyboards will help you see why the Kronos2 is such a great option. 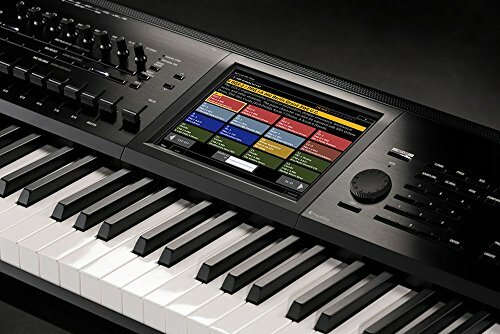 Connectivity – most keyboards can now connect to a computer in a myriad of ways, which means that they can easily be used for recording, can playback other songs, and can be used to access new sounds and tones. Consider the connectivity of a keyboard to ensure that it will work with your current setup. Display – the display on a keyboard is very important as it plays a huge role in how easily the user can change settings and sounds on the keyboard. A larger display is going to be much easier to read and interact with than a smaller one. 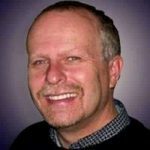 Sound Library – being able to access and download new sounds to the keyboard is a great way to freshen up an old song. Some keyboards offer access to expansion sound libraries that ensure that songs always sound their best. Polyphony – this refers to how many sounds a keyboard can make at once. The higher the polyphony is, the less chance that sounds will be dropped, which is important to consider when playing involved songs or old hymns. 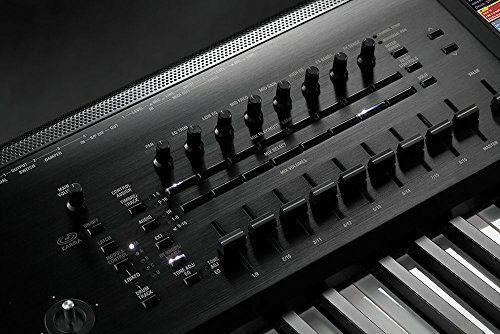 The Korg KRONOS2 is packed with great features that make it an obvious choice over its competition, even when you factor in its high price. One of the best features of this keyboard is that it has weighted hammer-action keys that provide a realistic feel. There are four different resistance zones, resulting in a keyboard that is a pleasure to play. 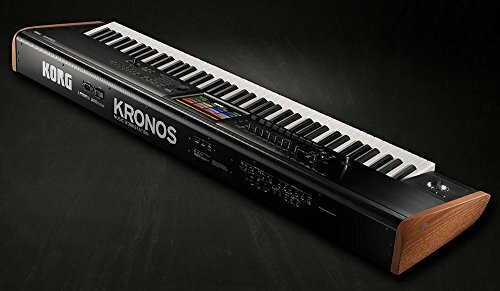 Thanks to the Advanced Kay Algorithmic Real-time Music Architecture of the Korg KRONOS2, this keyboard is able to produce accompaniment that is responsive and sounds really natural when the instrument is played. The sound engine in this keyboard is especially impressive. Its STR-1 sound engine and relies on physical modeling for the creation of virtual plucked strings. This means that harp, guitar, harpsichord, and other stringed instrument sounds of the Korg KRONOS2 all sound incredibly realistic. There is an onboard songwriting platform in the Korg KRONOS2. What this does is make it easy for members of the church band to write their own music without major difficulties. This songwriting platform features 16-track sequencing, as well as a 16-track recorder. Entire sounds can easily be written and mixed inside the keyboard thanks to an intuitive and easy-to-use workflow walkthrough process. There’s a lot to love about the Korg KRONOS2, making it a wonderful option for most any church band. One of the most obvious pros of this keyboard is that it features a touch drag capable color view display. This makes it really easy for users to adjust their sound settings on the fly. Additionally, this is a full 88-key keyboard, which means that it offers the same playability as a traditional acoustic piano. While the polyphony varies, it has six-voice polyphony that results in a true and impressive sound. The Korg KRONOS2 features nine sound engines, as well as access to thousands of various effects and sounds. This makes it possible for musicians to create a truly unique sound when playing. There is USB/MIDI ports that make it easy to add MIDI control to the workstation, which results in even better control over this instrument. One drawback to the Korg KRONOS2 is that the keys can sometimes jam or break. This requires professional assistance to repair the keyboard. Another issue with this keyboard is that it weighs 66 pounds, making it very difficult to move easily around the church. Once this keyboard is in place for practice or a performance, then two people will be required to move it safely to a new location. The Korg KRONOS2 has a lot to offer any church band who is looking to improve its sound quality and take their music to the next level. While it is a little bit heavier than other similar keyboards on the market, it’s loaded with features that make it easy to use and allow musicians to really push themselves to improve the way that they sound. It’s designed to not only mimic the sounds of a myriad of instruments, but also to produce complex drum tracks, use onboard effects to enhance sound quality, and even add warmth and depth to sounds being played. All in all, this is an updated piece of equipment that is one of the best sounding options on the market and is known and loved for being incredibly durable and easy to use. It retains incredible audio quality and is flexible and powerful, making it great for musicians of all ages and abilities to start writing their own music. 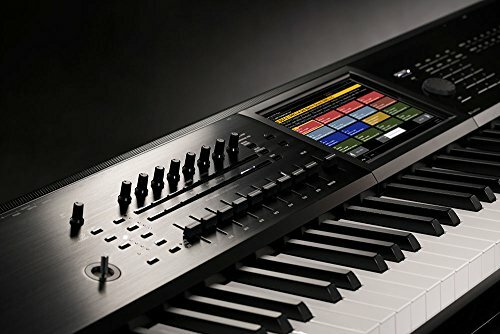 While the Korg KRONOS2 may not rely on new technology, it’s a definite improvement on existing technology and is known for being powerful and dynamic. Any church band would be lucky to have this keyboard and will likely find themselves inspired to push themselves to better performance and sound quality.